Bumpers Billiards of Huntsville is a place to eat, drink, and play pool. Bumpers Billiards of Huntsville is North Alabama’s upscale pool-playing destination. 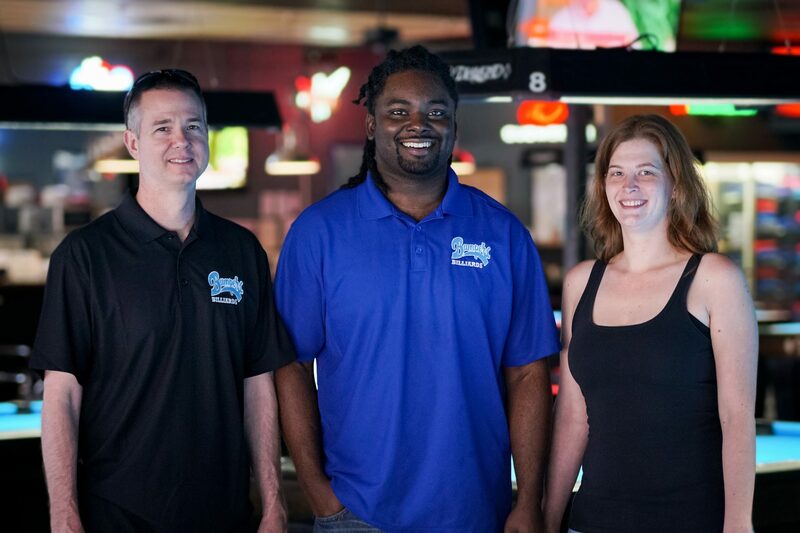 It is also Huntsville, Alabama’s premiere place to play billiards, enjoy refreshing drinks, friendly customer service, and meet locally and nationally ranked players. Located in “The Gallery” shopping plaza at 4925 University Dr, it houses 16 seven foot Diamond blue label tables and 8 nine foot Diamond blue label tables, a huge selection of liquor and beer, and a great food menu! Bumpers is also the PROUD host of the APA league, home of the USAM (US Amateurs) preliminary rounds, and APA Singles Regionals. The owner Robert Hall has invested a great deal of time and effort into Bumpers to make sure it runs smoothly, giving you the experience you deserve. So, whether you live here, or are just passing through, come have a few drinks and shoot some pool with us. You deserve to have fun!